The people of Coorg (Kodagu), once known as the land of the generals, have been reduced to the status of the foot soldiers of the Hindutva brigade. Perhaps Coorg is the only district in South India which has been made Congress mukt by the people of this tiny district in Karnataka. Though people of Coorg have turned the district into a BJP citadel, the Modi government has failed to respond to the sufferings of the people who have been hit by a crash in the price of coffee and pepper, especially the latter on account of the flawed policies of the Modi government. The major charge against the BJP national leadership is the fact that a discredited set of party leaders are at the helm of affairs in the district. Most of the BJP leaders in Coorg are known for their proximity to vested interests like timber and sand lobby. Despite serious charges being faced by him, the sitting BJP MLA from Virajpet was given ticket last time for the fourth term in a row. He was re-elected solely due to ‘Modi’ factor and not due to his merit. Though the BJP claims it is against dynastic politics, two brothers are sitting legislators from Coorg and one more brother was in the land-grants committee. The family is said to have a monopoly in Coorg business and politics. 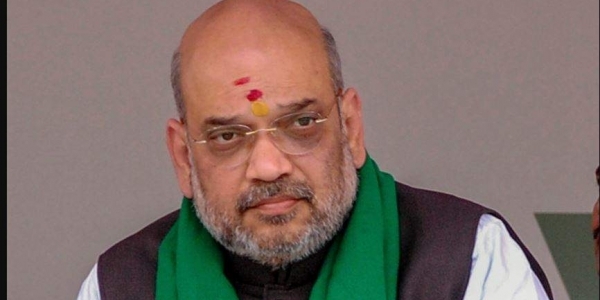 In the circumstances, the BJP president Amit Shah (in picture) should build a credible leadership in Coorg and select a person from Coorg to represent the constituency in the Lok Sabha. A person from Coorg could be nominated to the Rajya Sabha. The BJP leadership is known for failing to recognise people who have worked for building the party. Dr M.M. Chengappa, who was mainly instrumental in building BJP in Coorg, died an unsung leader, though he was a stalwart who could have been a national-level leader of the party. On the other hand, Congress has groomed several leaders from Coorg, including former chief minister R. Gundu Rao. There are dozens of retired major generals and brigadiers in Coorg who could be used constructively for nation building. Better to be a foot Soldier of the Hindutva brigade than of the Islamic Jihadi brigade, who started celebrating Tipu’s birthday.